Now that winter’s nearly over, your heat pump may not be your first priority. However, spring is the ideal time to invest in HVAC maintenance. During the winter, your heating system gets a significant amount of use, which may result in wear and tear and other issues. Fortunately, by addressing these issues right away, you can avoid more significant and costly damage. Stewart Air Conditioning & Heating in Lexington, KY, is the area’s go-to furnace installation and repair company. 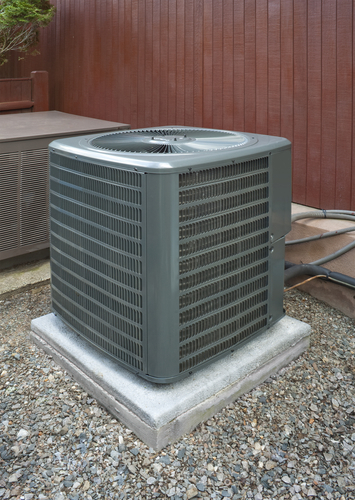 Here, they explain three benefits of heat pump maintenance. Without proper maintenance, your heating system may experience problems, such as a dirty filter or clogged coils, that can decrease efficiency. Heat pumps can also begin to wear out and become less efficient as they near the end of their life span. Because the system is consuming more energy, you’ll pay more for electricity. By scheduling routine inspections, you’ll ensure your system is in optimal condition without leaks or clogs that could impede comfort and efficiency. In addition to keeping your home a comfortable temperature, the heating and air system filters air to improve indoor air quality. However, without routine cleaning, dust, allergens, and other particles may accumulate and circulate in your home, resulting in the low-quality air. During the humid months, mold and mildew can also develop, creating an unpleasant musty smell. Mold can also be a health hazard, so it’s crucial to remove it as quickly as possible. Investing in routine maintenance checks keeps your indoor air clear and breathable. Caring for your HVAC system helps to extend its life span. A well-maintained heat pump can last ten years or more. During a routine inspection, the contractor will make adjustments, repair problems, and replace worn out parts to keep your system in optimal condition. By investing in inspections and repairs now, you’ll prevent having to pay for a premature replacement. Keeping a heating system in good shape is much more cost-effective in the long-term. Don’t wait to have your heat pump inspected. Beat the rush by contacting your local HVAC maintenance specialist today. For Lafayette area residents, that’s Stewart Air Conditioning & Heating. Their team is highly-trained in HVAC maintenance and installations, as well as customer service. Call (859) 252-4945 to speak with a friendly staff member or visit the website.